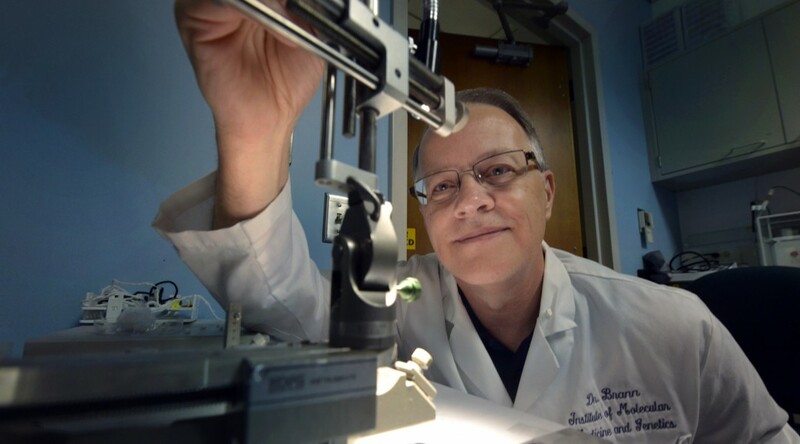 AUGUSTA, Ga. – An enzyme that converts testosterone to estrogen appears to have significant impact in a healthy and injured brain, scientists report. There’s mounting evidence that in the healthy brain, aromatase and the estrogen it enables neurons to produce, helps keep our brains and us nimble. Now scientists are learning that with injury, aromatase and estrogen expression seem to shift to cells in the brain called astrocytes, aiding their support and nurturing of now-stressed neurons, said Dr. Darrell Brann, Regents’ Professor and Vice Chairman of the Department of Neuroscience and Regenerative Medicine at the Medical College of Georgia at Georgia Regents University. Several studies, including those in Brann’s lab, have shown this primary shift in aromatase/estrogen expression from neurons to astrocytes following injury. In Brann’s case, the studies have been in the hippocampus, a center of learning, memory, and emotions. When he used a drug to reduce astrocyte’s aromatase expression in that region, increased inflammation and brain damage resulted. A new $1.8 million grant from the National Institutes of Health will enable him to further elucidate the role of aromatase and estrogen in injury and in health and, ideally, point toward therapies that can augment the brain’s apparent effort to heal. The studies are enabled by the development of several laboratory mice, one with aromatase removed from neurons, another with it missing in astrocytes, and a third with aromatase missing in both brain cell types. 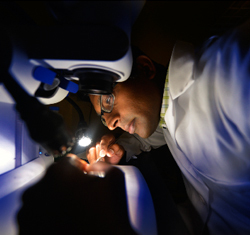 The mice were developed by Brann’s lab in collaboration with Dr. Ratna K. Vadlamudi, Professor of Obstetrics and Gynecology at the University of Texas Health Sciences Center. 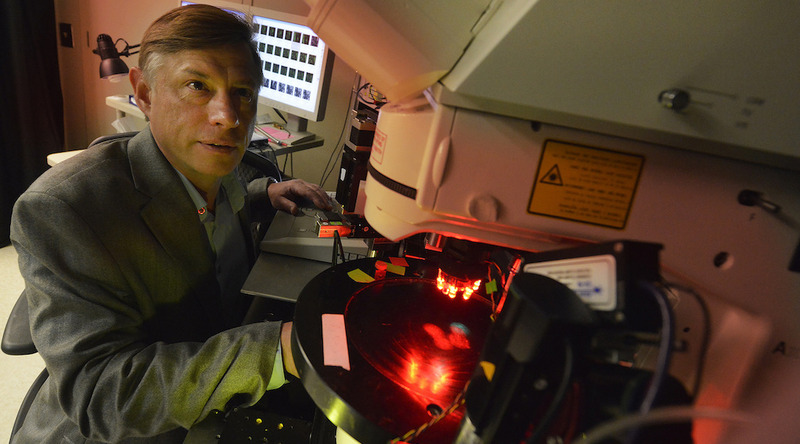 “We will be able to tell the cell-specific function of estrogen,” Brann said. “We want to know what happens when they don’t have it. We’ll study the plasticity, the connectivity of neurons in these knockouts, and we’ll study their cognitive function using behavioral tests.” They’ll also see what happens to inflammation and recovery when aromatase expression can’t increase as it probably should following injury. Brann is not surprised that usually supportive astrocytes would take it up a notch following injury and thinks estrogen is critical to the expanded role. “In a non-injury situation, we see it mostly in the neurons, so it much have some functions such as plasticity and connectivity normally,” he said. Following injury, when astrocytes start making aromatase then estrogen, the emphasis appears to shift to protection and recovery. He notes that as with every built-in protective mechanism, astrocyte support is not foolproof; sometimes natural recovery mechanisms get overwhelmed by the extent of injury. However, Brann hopes that, in addition to better understanding what estrogen does in the brain normally and following injury, the new studies will point toward new therapies that augment the apparent natural recovery effort. Aromatase is highly expressed by neurons in a healthy hippocampus. After a traumatic injury or stroke, the high expression appears to shift to astrocytes, a type of glial cell, found in abundance in the central nervous system that normally provide support and cushion for neurons. Astrocytes are known to become more active following brain injury, releasing more supportive, healing factors that many scientists believe also help reduce inflammation and increase their protection of neurons. However, if astrocytes remain activated too long they can also cause problems, including gliosis, which is essentially a scar-like wad of glial cells in the space living neurons previously occupied. “You have to tightly regulate all these factors being released,” Brann said. Even in culture, neurons will connect and communicate, but when scientists add an aromatase inhibitor to the mix, connectivity is interrupted. Some of the first in vivo studies in zebra finches showed that aromatase levels increased following a brain injury, which also supports a protective role for the protein. More brain damage results when aromatase inhibitors are given. “There seemed to be more inflammation,” Brann said. Part of what he wants to learn about how estrogen aids brain connectivity and plasticity, is exploring whether it regulates brain-derived neurotrophic factor, which is known to have a role in both. Brann also plans to pursue the role of aromatase and estrogen in neurodegenerative disease, such as Alzheimer’s, where there is some early evidence that missing aromatase increases plaque development. Naturally high estrogen levels in premenopausal women have long been considered protective of stroke as well as heart attacks and other maladies. The power plants that fuel liver cells rapidly splinter when exposed to bile salts that aid digestion, prompting cell death, but blocking this excessive fission appears to protect the liver, scientists report. Hepatitis, steroids, birth control pills, alcohol, cancer, even gallstones can interfere with bile secretion, causing the fluid, which is made by the liver to help digest food, to stay in the liver, where it’s toxic to cells, said Dr. Yisang Yoon, cell physiologist at the Medical College of Georgia at Georgia Regents University. It’s called cholestasis, a sometimes tough-to-treat condition that can damage or destroy the liver. A study in The Journal of Biological Chemistry links the unusual shape of the cell powerhouses, or mitochondria, that occurs in cholestasis to their rapid fragmentation from exposure to the bile salt glycochenodeoxycholate. Also, in both cell culture and a mouse model of the condition, blocking the excessive splintering reduced production of reactive oxygen species, a potentially harmful byproduct of metabolism, as well as cell death. The findings point toward novel cholestasis therapies that stop the excessive division that leaves powerhouses in dysfunctional tatters. In a sort of continuous biological circle, the liver uses cholesterol to make bile, which the gastrointestinal tract uses to break down fats. As it’s made, bile passes from the liver to the gallbladder for storage until needed. When, gallstones, for example, push bile back where it came from, it can be lethal. “Basically it destroys the cell,” said Yoon, the study’s corresponding author, who wanted to understand the role of mitochondria and what might be done to intervene. Fission, as well as fusion – when different parts come together – is normal for mitochondria, which frequently change form. While the why isn’t completely understood, scientists such as Yoon believe the splintering and melding is to enhance efficiency. Older mitochondria may fuse to younger ones to maintain their powerhouse function. Or a mitochondrion may split to get rid of a dysfunctional section. Generation of ROS, a byproduct of the energy production and use, is normal as well, but, as with fission, too much is bad for the cell. The MCG scientist found increases in ROS levels coincide with the level of mitochondrial fragmentation, suggesting a close relationship between the two. In fact, bile directly increases the mitochondria’s production of ROS. More of both support cell suicide as now sick or injured cells signal mitochondria to release factors such as cytochrome c into the cell cytoplasm. Outside the mitochondria cytochrome c, which normally helps make energy, is cell deadly. Yoon and his research team found that glycochenodeoxycholate is a primary instigator of the rapid and sustained mitochondrial fragmentation that occurs in cholestasis and that when they blocked the excessive fission, ROS production, liver injury and scarring, which can lead to cirrhosis and loss of liver function, were all substantially diminished. 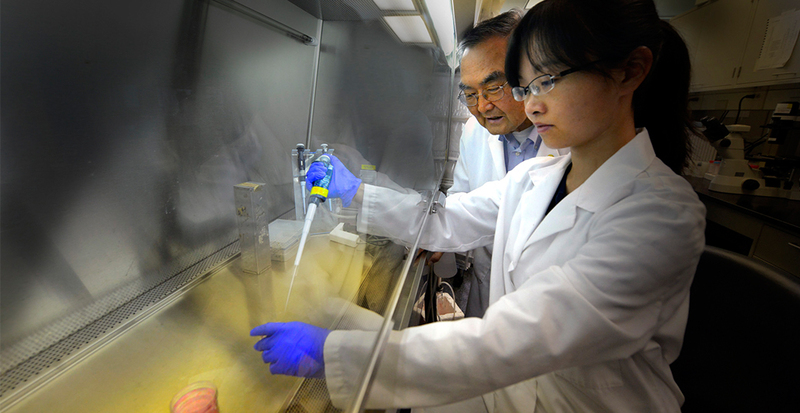 “It looks like inhibiting fission would be one way to decrease these bad outcomes,” Yoon said. For the studies, they reduced fission by making a mutant of DLP1, the main protein that mediates it. Yoon is currently searching for small peptides that bind to DLP1 in the search for a targeted therapy that might also work in humans. He notes that, at least in their animal model, liver cell function appeared normal after blocking the function of DLP1. Cholestasis also results in high bile levels in the blood. Current therapies include surgery or endoscopic approaches to remove obstruction to bile secretions such as gallstones or scar tissue and/or removing contributing drugs or toxins. The most serious cases cause liver failure, which requires a liver transplant. Fat and sugar aren’t usually considered healthy staples, but scientists have found that a biological fat with a sugar attached is essential for maintaining the brain’s store of stem cells. Neural stem cells help the brain develop initially, then repopulate brain cells lost to usual cell turnover as well as to a trauma or malady, such as a head injury or stroke. While the cell population and activity decrease as a natural part of aging, scientists at the Medical College of Georgia at Georgia Regents University are studying how neural stem cells are normally maintained with the long-term goal of helping the supply stay robust despite aging as well as infirmity. 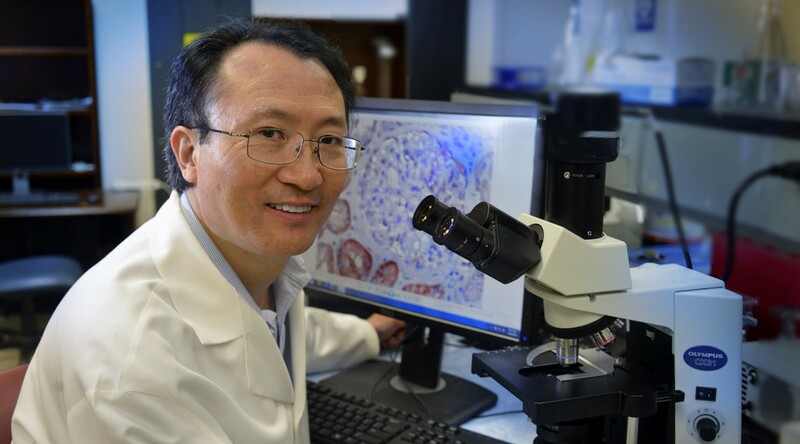 They have discovered that in mice missing the sugar containing lipid ganglioside GD3, neural stem cells have a dramatically impaired ability to self-renew, said Dr. Robert K. Yu, MCG neuroscientist and corresponding author of the study in The Journal of Neuroscience. The scientists focused on brain areas with typically the largest supply of neural stem cells: an area just below several midbrain cavities filled with cerebrospinal fluid, called the subventricular zone, as well as the hippocampus, a major center for learning and memory. Mice missing ganglioside GD3 on the membranes of neural stem cells had much smaller supplies of the cells in these key areas throughout life and expressed signs of lost hope with behaviors such as not actively seeking dry land when placed in water, Yu said. Additionally, the mice had impaired maintenance of the area of the brain involved in the sense of smell as well as the portion of the hippocampus that enables formation of new memories. The changes, which correlate with aging or illness, were corrected when GD3 was restored. “If GD3 is missing, we found these neural stem cells cannot be maintained throughout life; they are reduced by a big percentage even in a one-month-old mouse,” said Dr. Jing Wang, MCG postdoctoral fellow and the study’s first author. In fact, by one month of life, there was about a 60 percent reduction in the supply and by six months, which is considered aged in a mouse, there were only a handful of neural stem cells remaining, Wang said. The scientists note that in healthy young mice, GD3 is abundant but seems to naturally decrease with age. A Yu and Wang paper published in the journal PNAS in 2013 showed that GD3 is the predominant ganglioside in mouse neural stem cells where it interacts with epidermal growth factor receptors, also found on the cell surface. GD3 plays an important role in growth factor signaling, which, in turn, tells neural stem cells to proliferate or die. The two are optimistic that one day manipulating levels of growth factors and sugar-containing lipids will enable a more steadfast supply of neural stem cells throughout life, although getting the substances into the brain is a challenge. It’s already known that, at least in rats, exercise can also help. Neural stem cells are able to self-renew, in theory at least, forever. Their ability to maintain a steady supply of themselves and to differentiate into different types of brain cells are their most important properties, Yu said. Next steps include examining the role of other growth factors and gangliosides. Yu is the Georgia Research Alliance Eminent Scholar Chair in Molecular and Cellular Neurobiology. The studies were funded by the National Institutes of Health and the Veterans Administration. Low levels of both oxygen and the powerful blood vessel dilator nitric oxide appear to have an unfortunate synergy for patients with sickle cell disease, researchers report. Their studies indicate that the two conditions common in sickle cell disease, dramatically increase red blood cells’ adhesion to the lining of blood vessels walls and the debilitating pain crises that can result. The good news is that restoring normal levels of nitric oxide can substantially reduce red blood cell adhesion, said Dr. Tohru Ikuta, a molecular hematologist at the Medical College of Georgia at Georgia Regents University. 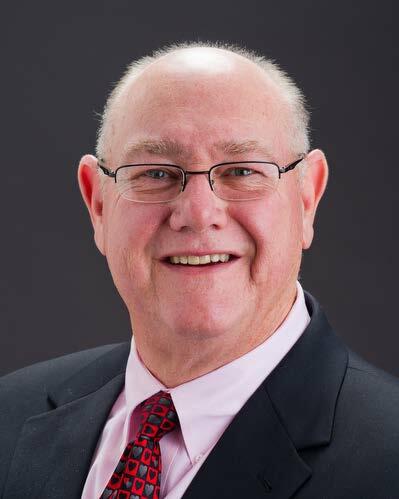 Ikuta and Dr. C. Alvin Head, former Chairman of MCG’s Department of Anesthesiology and Perioperative Medicine, are co-corresponding authors of the study in the journal Blood. The study also points to a potentially new therapeutic target, the self-adhesion molecule P-selectin, which the researchers found played a central role in increased red blood cell adhesion. Low levels of oxygen and nitric oxide both increase expression of P-selectin. Hypoxia, or low oxygen levels, can strike anyone in the face of, for instance, the flu, a bad cold, strenuous exercise or exposure to high altitudes. Additionally, sickle cell patients can have chronic problems with oxygen delivery. Oxygen is carried in hemoglobin, which travels the bloodstream to its target tissue inside typically flexible, oval-shaped red blood cells. The sickled shape of the hemoglobin in sickle cell disease can impede the journey and often results in oddly shaped, fragile red blood cells as well, said Ikuta. These red blood cells can spill their contents into the bloodstream, where oxygen readily binds with the nitric oxide and patients quickly find themselves with insufficient levels of both. To understand the relationship between low levels of oxygen and nitric oxide, researchers infused sickled red blood cells into mice incapable of producing nitric oxide. The cells immediately began sticking to blood vessel walls, while normal mice were unaffected. In the face of low oxygen levels, or hypoxia, cell adhesion increased significantly in the nitric oxide-deficient mice. When they restored normal nitric oxide levels by having mice breathe in the short-lived gas – as patients have done in clinical trials – cell adhesion did not increase when oxygen levels decreased. Interestingly, there was no additional benefit from increasing nitric oxide levels beyond normal. Rather, restoring normal nitric oxide levels appears the most efficient, effective way to reduce red blood cell adhesion, the researchers write. Clinical trials of nitric oxide therapy to ease pain in sickle cell patients have yielded conflicting results, with some patients reporting increased pain. 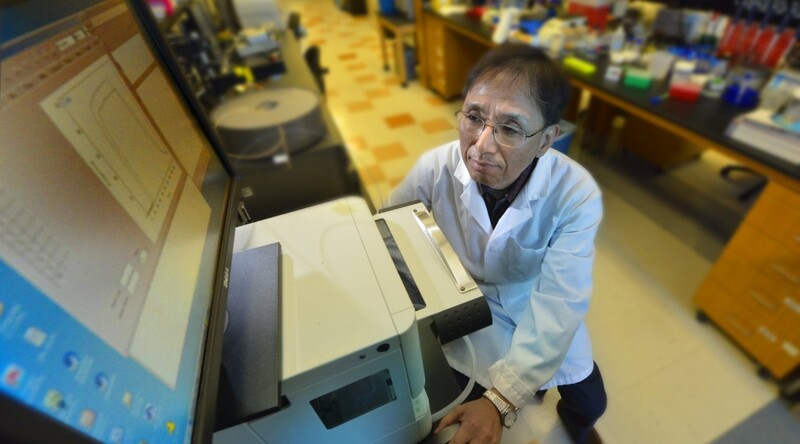 The new findings and the fact that patients with sickle cell disease have significant variability in their nitric oxide levels – even during a pain crisis – likely explains why, Ikuta said. Nitric oxide blood levels can be readily measured, he noted, and are more likely to drop in every patient during a pain crisis. The studies were funded in part by the National Institutes of Health. A bacterial infection can throw off the equilibrium between two key proteins in the lungs and put patients at risk for a highly lethal acute lung injury, researchers report. Bacteria can alter a single amino acid in the protein RhoA, pushing its activity level well above that of Rac1 and prompting blood vessels to leak and flood thousands of tiny air sacs in the lungs, said Dr. Stephen Black, cell and molecular physiologist at the Medical College of Georgia at Georgia Regents University. The study in The Journal of Biological Chemistry also proposes a biological shield that appears to protect RhoA from the potentially lethal alteration. “Activation of RhoA appears to be an early, early event and it’s a pathologic activation,” Black said. “The cell can’t regulate it anymore. It just stays on,” he said, comparing the aberrant activity level to a rapid-fire gun with no pause for reload. Causes of acute lung injury include common bacterial infections that cause maladies such as pneumonia; severe trauma that induces shock; multiple transfusions; burns; and meconium aspiration, when newborns inhale waste products. Mechanical ventilation used to support ailing lungs can also cause or compound the problem that occurs in about 150,000 Americans annually, killing about one-third, and leaving many with damaged lungs. While overactive RhoA was believed to be a culprit, just how it contributed was unknown. Researchers also knew that nitration – adding a nitro group to a protein to change its function – occurs at high rates in acute lung injury and normalizes when the stimulus, such as a bacterium, is removed. Using human lung cells and mass spectrometry, they found the amino acid Y34 was altered in this condition. Then, using 3-D computer modeling, they mapped out exactly how that alteration affects RhoA function. They found it turns RhoA into a steady-firing protein. While antibiotics can wipe out the bacterial stimulus, patients must survive long enough for the body to resume making normal RhoA. “This is one of the insidious things. You can clear the bacterial infection and still die,” Black said. The good news is that the proteins turn over in just a few days. Nitration occurs, in this case, when peroxynitrite is added to a protein, a move previously believed lethal to the protein. However, MCG researchers found nitration can also activate RhoA. Once they found the specific modification, they designed a peptide that mimics the normal protein sequence and placed it on top of the area of nitration. “Think about it as a shield,” Black said. For these early experiments, researchers gave the peptide shield before the stimulus to see if they were even on the right track. They’ve since redesigned the peptide to reduce undesirable effects on normal RhoA signaling and are now giving it the way patients may one day get it: after changes to Y34 already have occurred. “We have high hopes for what we call the gen-2 peptide,” said Black, citing early evidence that it can normalize RhoA activity. Y34 is one of about 200 amino acids in RhoA. “We are looking at one amino acid in one protein in an extraordinarily complex disease and it makes it better,” said Black. Still unclear is how long RhoA can sustain its bacteria-modified super-pace and whether non-bacterial causes of acute lung injury prompt the exact RhoA alteration. The researchers performed simultaneous studies in an animal model. 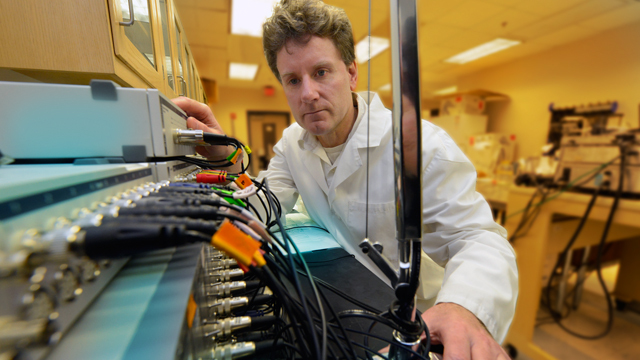 The research was funded by a National Institutes of Health Program Project grant. It turns out that your messenger RNA may catch more than one ride to get where it’s going. Scientists have found that mRNA may travel one way down a cell, then board another, aptly named motor protein, and head in the opposite direction to get where it ultimately needs to be. It’s a pretty important journey, because mRNA determines which proteins a cell expresses, differentiating a brain cell from, say, a muscle cell, said Dr. Graydon B. Gonsalvez, cell biologist at the Medical College of Georgia at Georgia Regents University. “It used to be thought there was a relatively simple scenario where if a cargo needs to go here, it gets on one track and it goes that way,” said Gonsalvez, corresponding author of the study in the journal PLOS ONE. But like a motorist on a backed-up interstate, scientists at MCG and the University of Cambridge, have found that mRNA needs the flexibility to maneuver around potentially numerous obstacles in its path to ultimately arrive at the right spot. “The ability to reverse their tracks is important to their ability to eventually get where they need to go,” Gonsalvez said. And location is really everything, because the proteins need to be expressed in a specific location to function correctly. While too much misdirection is incompatible with life, a little is OK and maybe even normal. But at levels in between, the health consequences can include Alzheimer’s, cancer, multiple sclerosis, and Fragile X syndrome, which can produce mild to severe intellectual deficits as well as physical characteristics such as flat feet and an elongated face. “Most human diseases come from not a loss of a process, but a compromise to the process,” Gonsalvez said. The scientists suspected the bidirectional ability because they could see the two motor proteins that would head in opposite directions parked side-by-side in the cell. When they removed the then-idle motor that could go in the opposite direction, delivery, or localization, of the cargo mRNA already en-route was compromised. Motor proteins have long been known to haul mRNA up and down the cell’s cytoskeleton, which essentially functions as an internal roadway for the cell. Gonsalvez recently received a $1.4 million grant from the National Institutes of Health to fill in other important knowledge gaps about the journey, like how the motor proteins know which mRNA to transport, because not all mRNA needs to be localized. He likens the routing system to a ZIP code and thinks proteins are again key, but in this case, they are bound to the mRNA, flagging it for travel. “Something is telling the cell that this message is different,” he said. In the case of Fragile X syndrome, for example, he suspects that one or more proteins that should be bound to mRNA are missing so the cell can’t tell the messenger it needs to be moved. Another question Gonsalvez wants to answer is how mRNA holds on for the ride since the motor protein won’t bind with it directly. “These are not easy questions but the thought is once we understand the answers, we will understand why, when you have a defect in this process, you have a disease pathology,” Gonsalvez said. He notes that transportation of mRNA occurs lifelong, since proteins have a limited life and are constantly being replaced. His research model is the comparatively simple fruit fly in which the technology is available to selectively knock out motor proteins in specific cells. His published research was funded by the and the NIH.